Also, Gnaw will be playable at GamesCom in Cologne next week. If you are at GC, look us up at the Valve booth in Hall 7.1, stand C030 to get a taste of this powerful new creature!We’ve also been getting tons of requests for allowing Youtube monetization for Awesomenauts footage, and we’d hereby like to announce that we are ok with that. 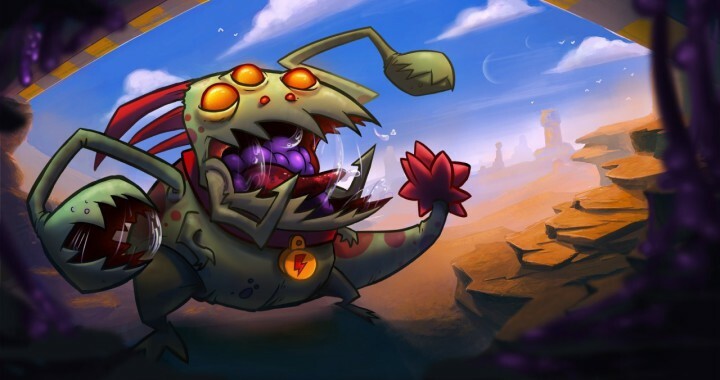 In fact we are super excited to see more footage of Awesomenauts! Bring it!